A former weekly newspaper journalist is standing for election to the parliament of the Isle of Man. Daphne Caine, left, is standing as an independent in the island’s general election for seats in the House of Keys, its parliament the Tynwald’s lower chamber. 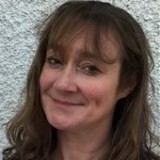 Daphne, who worked as a reporter with Isle of Man Newspapers from 1989 to 1996, is standing as an independent for the Garff constituency with the aim of promoting fairness and equality, protecting the vulnerable, ensuring open government and securing the island’s position on the world stage. The 47-year-old was born and raised in Sheffield, but moved to the island after training as a journalist. She said: “I am someone who has always preferred a lower profile role advising decision makers. “But there comes a time when you have to put up or shut up. I feel the Isle of Man is teetering on a precipice at the moment. Daphne has worked for the island’s civil service since leaving journalism, initially as a press and PR manager for the Department of Tourism and Leisure. She is currently as customer services team leader at the public transport division of the Department of Infrastructure. The election will be held next Thursday.